The big new feature in WordPress 5.0 is the upgraded editor. It’s really different from the old editor, and we know the change can cause some frustration. In this article and the companion video above, we’ll share what’s changed and how to hit the ground running with the new block editor. 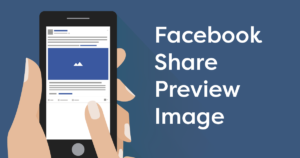 When you share a link to Facebook, you usually get a thumbnail image to accompany it. How do you get the same for your website, and how can you choose which image gets picked as the thumbnail for the share preview? Read on to find out. Gutenberg is the name of the new editor in the upcoming WordPress 5.0. It is a completely new publishing experience, and will bring tremendous change to how you’ve used WordPress. What is Gutenberg? How will it affect me? Find out.. The GDPR is a wide-ranging data protection law that goes into effect on 25 May 2018. It affects all website owners, whether or not you are in the EU. So let’s now focus on how to get compliant, or at the very least ensure that we demonstrate a good commitment to get compliant.